The Paris COP21 continues. The atmosphere today was far more relaxed after the excitement of the speeches from world leaders yesterday. Negotiations have started more seriously with discussions over decarbonisation – perhaps this should be called carbon austerity! 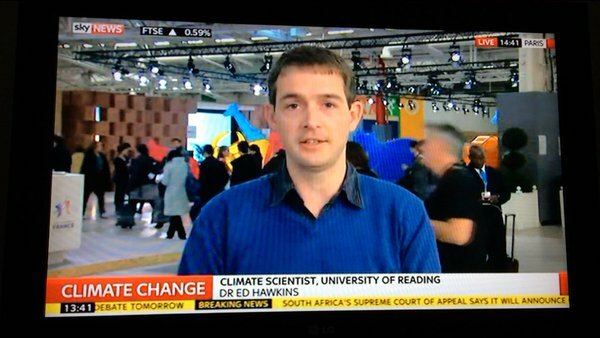 Today was also my ‘science day’, presenting at a Side Event with the Met Office. The first aspect was discussing temperature changes globally (red) and in two countries, England & Kenya (black). The differences in variability between the two countries is striking and relates to how they ‘experience’ climate change. 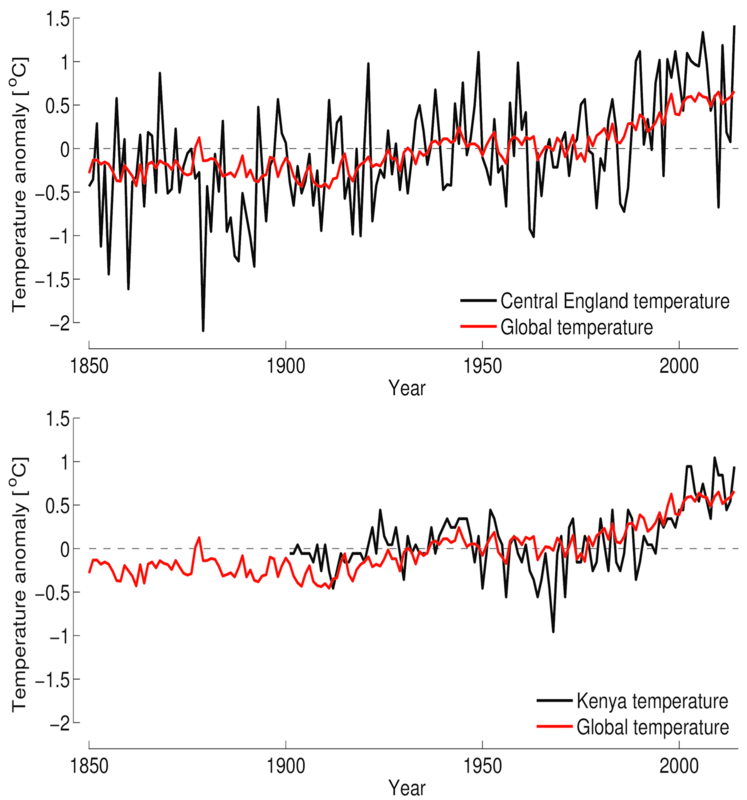 Kenya will ‘feel’ the changes in temperature far more than England because the changes are much larger than the natural variations. The second aspect discussed what this means for the future of temperature in the two countries. For England, there could plausibly be a rapid warming or a cooling because of extremes of natural variations in temperature. 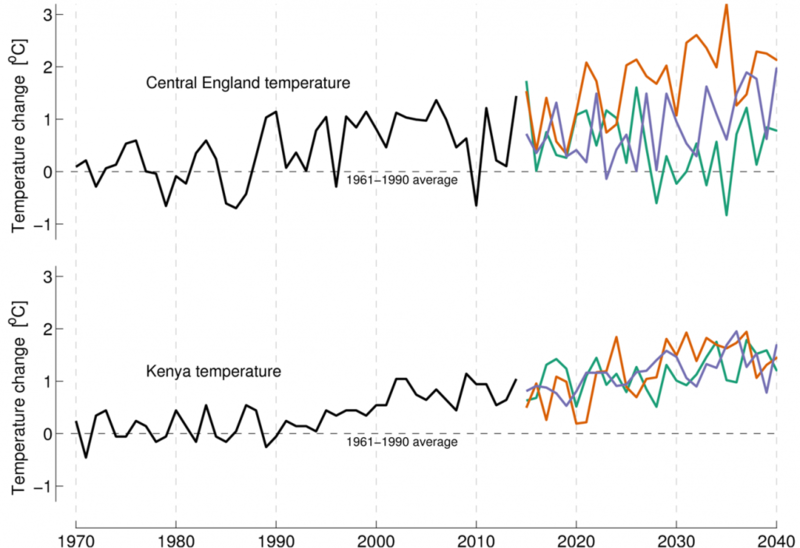 However, for Kenya the lower levels of variability mean that temperature rises more or less constantly, again suggesting that Kenya will experience changes in temperature far earlier than England.